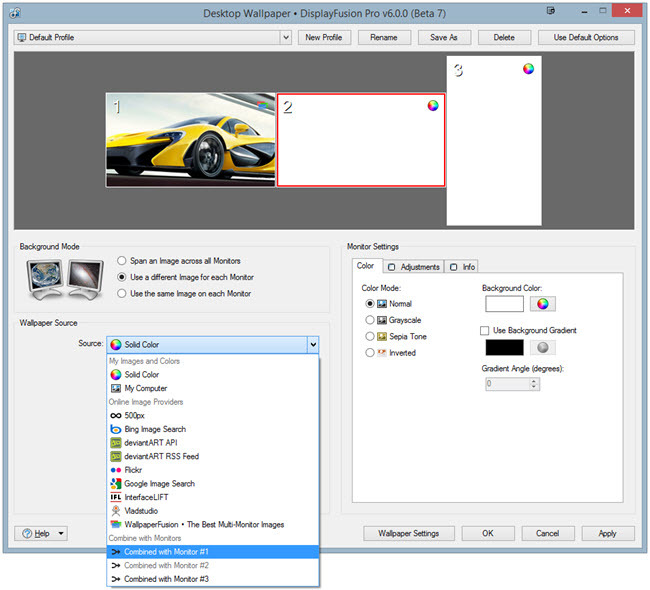 Starting with DisplayFusion 6.0, we've added a great new feature that allows you to combine the wallpaper for specific monitors. This allows you to have a wallpaper image span some of your monitors, while still having a separate image on the other monitors. This is a great feature for people who run less conventional multi-monitor setups like having two monitors in the landscape orientation, and a third monitor in the portrait orientation. Here are the steps for a simple combined wallpaper setup. Note that you can combine the wallpaper on more than two monitors, have multiple groups of combined monitors, and even combine the wallpaper on non-adjacent monitors! 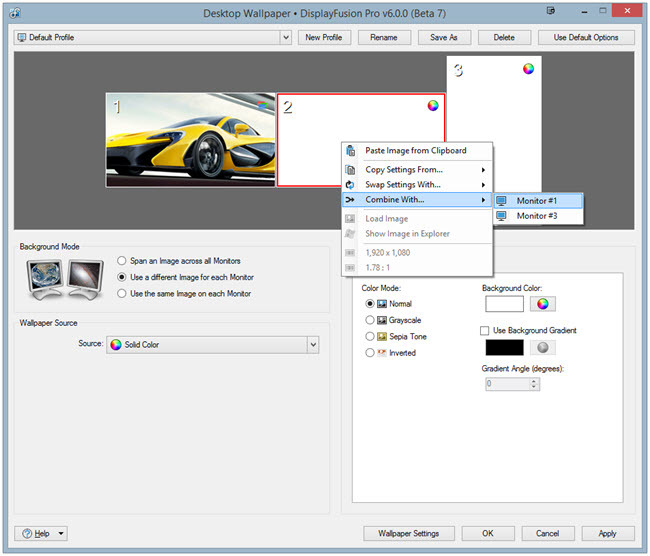 Set the Background Mode option to "Use a different Image for each Monitor." Right-click Monitor 2, then choose "Combine With > Monitor #1" or, select Monitor 2, then choose "Combined with Monitor #1" in the Source drop-down. Click the Apply button to test it out. 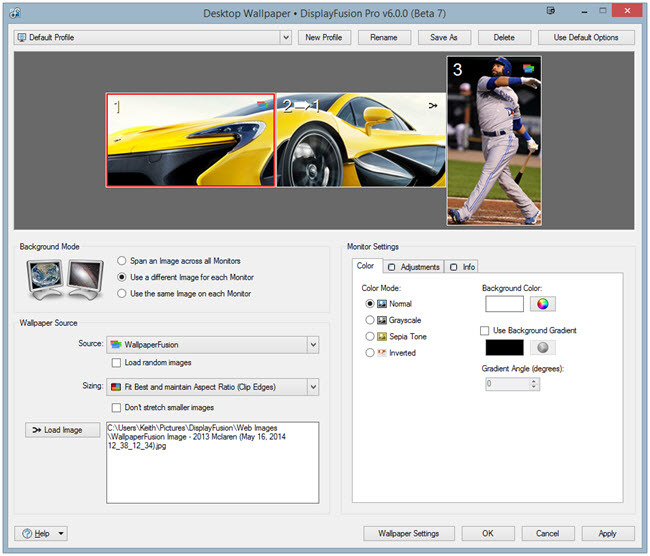 Make your changes to the Source and selected images, and they will automatically apply to the combined monitor.